Lovely updated three bedroom two bath brick ranch situated on large .77 acre private lot in Walnut Creek Subdivision. Home has been freshly painted and has new carpeting and vinyl flooring. Spacious Living Room, Eat in Kitchen with an abundance of nice cabinetry. Outdoors you will find a new rear deck for all your outdoor enjoyment. Outbuilding for additional storage. Nice & private back yard. Great commute location to Louisville & only minutes from all the amenities of town. 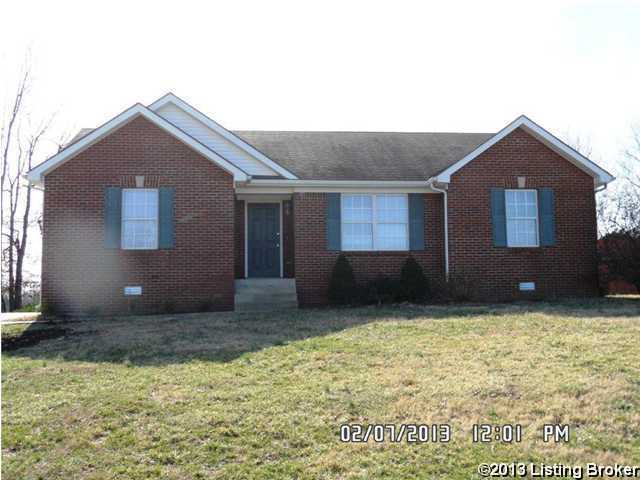 1015 Holly Creek Ct, Bardstown KY 40004 is a Home, with 3 bedrooms which is recently sold, it has 1,431 sqft, 0 sized lot, and No Garage parking. A comparable Other, has bedrooms and 0 baths, it was built in and is located at and for sale by its owner at $ 0. This home is located in the city of , in zip code , this County Other, it is in the Subdivision, and Edgewood are nearby neighborhoods.